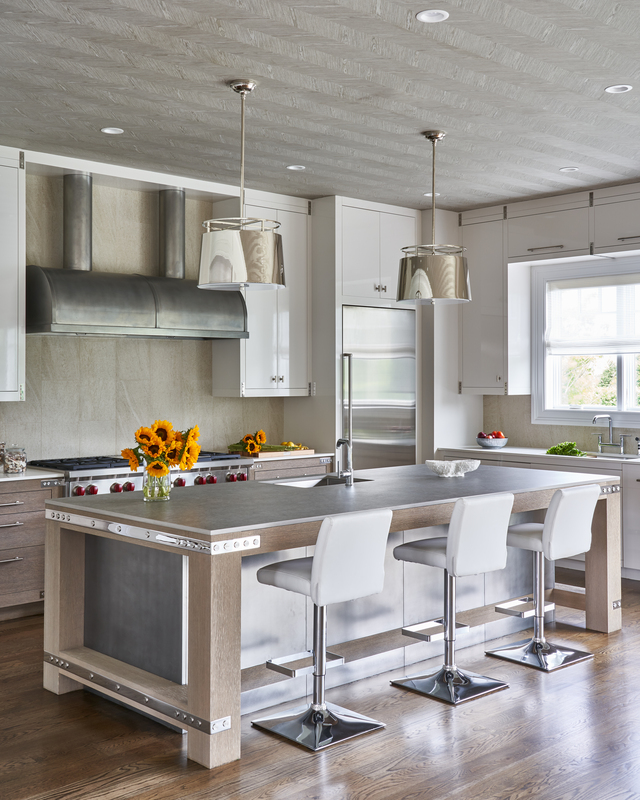 Range hoods are a stylish and functional addition to any kitchen space. As they come in a variety of materials and finishes, it is crucial that homeowners know the correct way to clean their range hood and the appropriate materials to clean it with. All hoods should be cleaned using a microfiber cloth or towel. At no point should the hoods ever be cleaned with anything abrasive. For most applications, appropriate cleaning products can be found at Home Depot, Lowes, or local hardware stores. Always be sure to dust off your hood before cleaning to avoid any scratches. Further care of your range hood will be dependent upon its finish and/or material. Both should always be cleaned with a stainless steel spray. When cleaning the brushed stainless steel, it’s important to clean going in the direction of the grain for the best results. Cleaning in circular motions on brushed stainless steel may result in the metal’s grain to look distorted. Sometimes you can even use a degreaser on the non-directional stainless steel if the matte finish looks splotchy in areas. 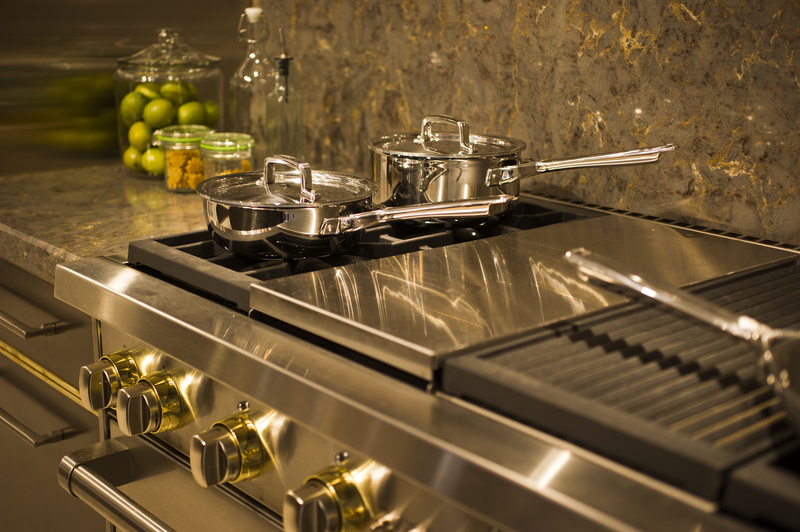 Use a degreaser or warm water with a mild soap to clean copper and brass hoods. With the exception of mirrored brass or copper, most brass and copper hoods will be lacquered. The lacquer should not dull but if it should tarnish, lemon and baking soda or a hot water, vinegar, and salt combination can help to restore the finish. When dealing with any polished metals such as mirrored stainless steel, mirrored copper or mirrored brass, Flitz can be used for cleaning. This product can be found online. The product can be used in two different forms: a paste form and a wax form. Streak-free Windex may also be used for polished metal hoods. Powder Coated hoods can be cleaned using a solution of warm water and mild soap. Be very cautious when cleaning hoods that are made from a combination of metals, as they require different methods of cleaning. Avoid spreading cleaner to areas of your hood that are a different metal. Range Hood filters will need to be cleaned according to the type of filter your hood has. Many hood filters are dishwasher safe and can be cleaned simply by running through the dishwasher or soaking in hot water and mild dishwashing soap. It is important to clean your hood filter according to how often you cook, as unwanted grease can build up and start dripping if the filter is not properly cleaned. Some recirculating hoods may have charcoal mesh filters – these can be cleaned by placing them in the oven and baking them for 5-10 minutes to remove any residue left on the charcoal. Be sure you understand what type of hood filter you own so that it will be cleaned properly. If you experience any difficulties with your range hood, always be sure to reach out to your range hood provider for additional assistance.